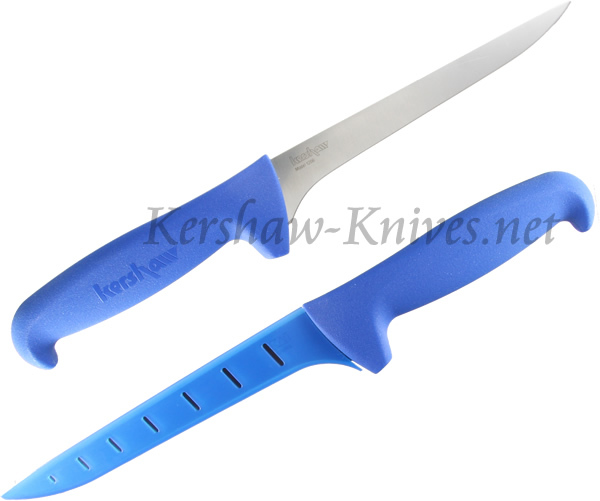 The Kershaw Pro Grade 6 Inch Narrow Fillet knife model 1286 has a polypropylene handle with a trusted design that lets you get a good grip in all conditions. The knife comes with a vented blade guard that is convenient to have if you need to put your knife away while it is still wet. The 420J2 stainless steel 6 inch blade has enough flex to make short work when filleting smaller fish.